The Speaker of Osun House of Assembly, Hon. Najeem Salaam has said he has no grudge against his colleagues who did not support him at the recently held governorship primary of the All Progressives Congress in the state. He said they had expressed their democratic right differently of which they have the right to. 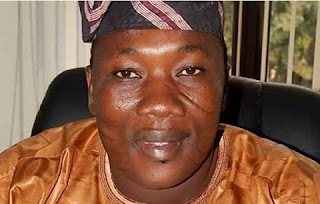 Salaam was one of the 17 aspirants that participated in the party's primary on July 19, polled 17, 958 votes. Alhaji Adegboyega Oyetola, who is Chief of Staff to Gov. Aregbesola clinched the party's ticket for Sept. 22 governorship election with 127,017 votes. The speaker made this known on Friday while speaking at the plenary. In a statement issued by Mr Olatunbosun Oyintiloye, the House Committee Chairman on Information and Strategy, Salaam was quoted as saying that the party had spoken and that he was humbled by the huge support, morally and financially, extended to him by some of his colleagues in the assembly. The speaker, however,congratulated Oyetola , urging him to extend hand of fellowship to all aspirants who contested with him during the primary . He said such hand of fellowship would ensure the party's victory during the governorship election. Salaam said there was no doubt that all the aspirants were also qualified to be the flag bearer of the party but that the system only allow only one person. He said , " Note that I bear no grudge against anyone who has expressed his democratic right differently.
" After all, we are colleagues and I am here as the first among the equals by the grace of God and your support". "So, I urge us to focus on our primary assignment to whom we are elected to do and be diligent in our legislative business. "Let it be known that what brings us together here is stronger than what divides us". Salaam, who noted that he fought the primary election with dignity and comportment expected of a leader of the state parliament, said he drew his energy from the huge support from ordinary people in the state. The speaker, however, urged his colleagues in the assembly to strive to deliver on the mandate given to them before the expiration of their tenure in the next few months.
" In the next few months, this assembly would be winding up and posterity will surely judge us, using our productivity and delivery.
" Set up feed back mechanism on laws we had passed and structures we had consented to with a view to ensuring that our labour is not in vain", Salaam said. The speaker also thanked his supporters and Sympathizers across the state.